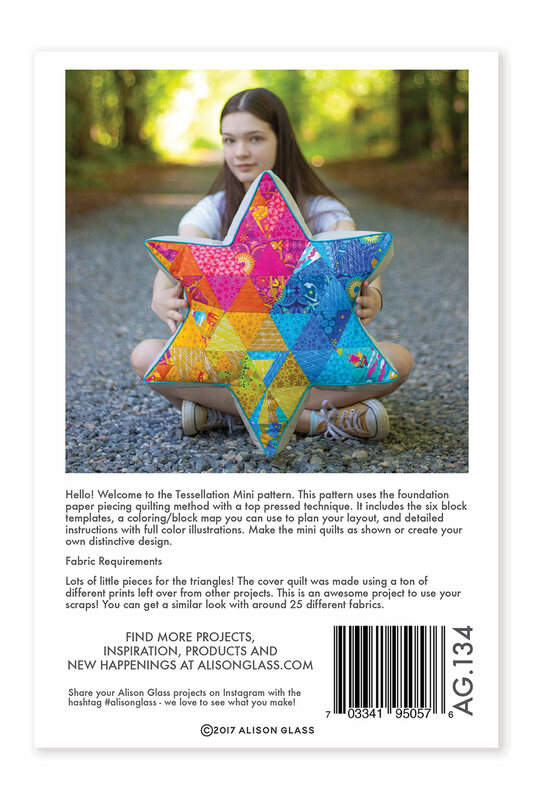 The mini quilt trend + AG Tessellation pattern popularity join up in a Tessellation Mini pattern! 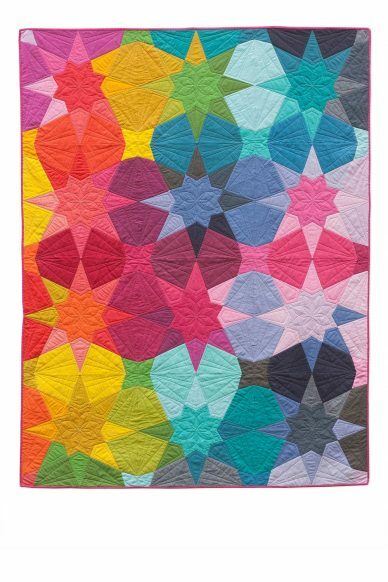 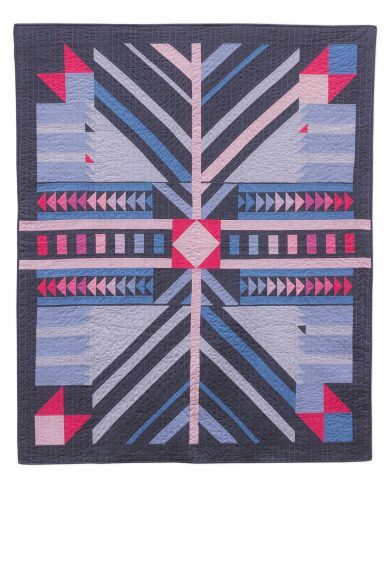 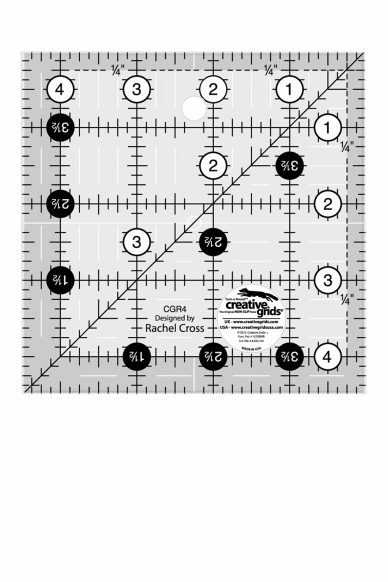 We’ve shrunk the size and altered the templates a bit to work well in this mini quilt focused pattern. 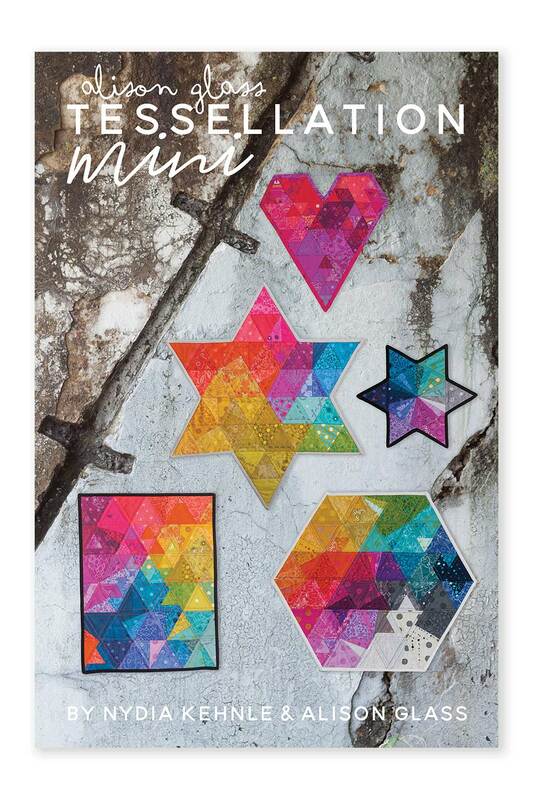 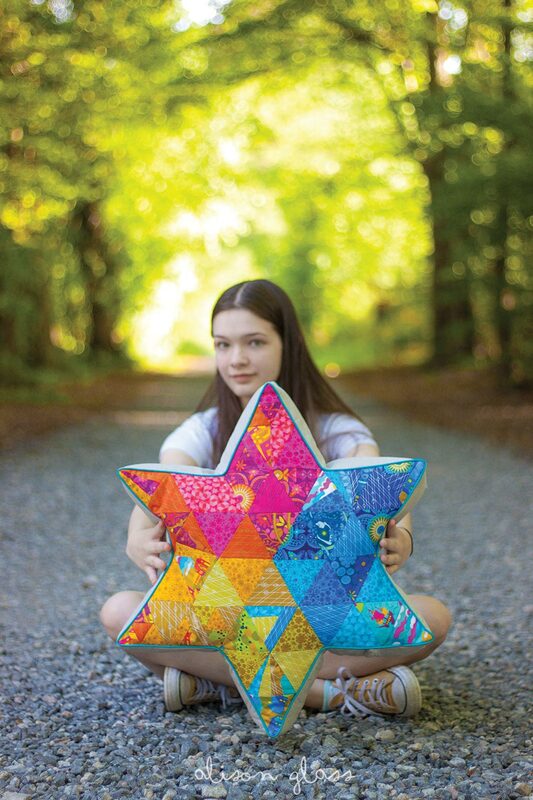 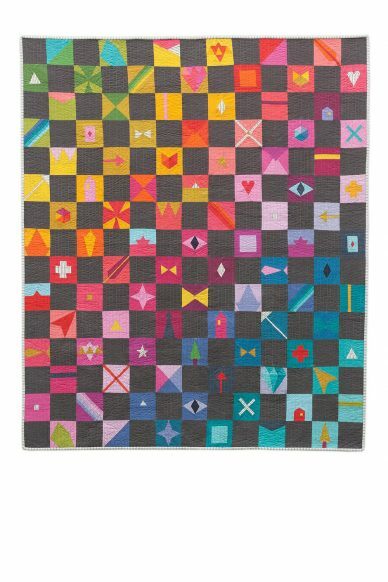 With layouts for shapes beyond a simple square and full foundation paper piecing instructions, we are sure you’ll love this pattern collaboration from Nydia Kehnle and Alison Glass.